Burying Ferdinand E. Marcos alongside our nation’s heroes who fought for our freedom is an affront to the thousands of lives tortured and murdered during his reign. A hero does not take away freedom, he campaigns for it and fights for its survival for the sake of others. Laying him to rest at the Heroes’ Cemetery is a disdainful act that will send a message to the future of our nation – our children – that the world we live in rewards forceful and violent hands. 1. 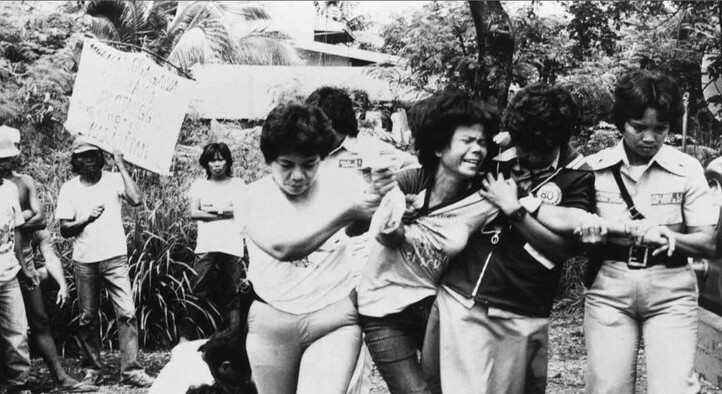 According to you, President Duterte: “The issue on the burial of Ferdinand E. Marcos at the Libingan ng mga Bayani has long created divisions among our people,” – This is not what’s causing the division. It will in fact further sever the opportunity for unity since this is an injustice to the victims of Martial Law and the families they left behind. 2. It is a known historical fact that Ferdinand E. Marcos proclaimed Martial Law in 1972 which stayed in effect until 1981. Under Martial Law 70,000 people were imprisoned, 34,000 were tortured, and 3,240 were killed. 3. The United States Army concluded after World War II that claims by Ferdinand E. Marcos that he had led a guerrilla resistance unit during the Japanese occupation of his country were »fraudulent » and »absurd. » Blatant lies of manipulation is not a heroic act. 4. Only two of 33 war medals were received by Marcos during the 2nd World War. Fabricating stories about war accomplishments for political gain is not heroic. 5. His gross plunder and mass murder trumps his status as a soldier. Serving one’s country in war does not warrant heroism if they place that same country in ruin. Foreign debt increased from $355 million in 1962 to $28.3 billion in 1986. The peso value to the dollar decreased from 3.90 in 1966 to 20.53 in 1986. 6. According to you, President Duterte: “I will allow the burial of President Marcos at the Libingan ng mga Bayani not because he is a hero. He was a Filipino soldier, period.” – Not all soldiers were buried in Libingan ng mga Bayani. Burying him there will label him a hero whether he was a Philippine soldier or not. « Those who were dishonorably separated, reverted, or discharged from the service, and those who were convicted of an offense involving moral turpitude cannot be buried at the cemetery. » Marcos was ousted from power. On these grounds alone, he is not qualified. Ferdinand E. Marcos is not a hero. Only heroes are buried in the Heroes’ Cemetery as the name so literally states. Please reconsider your position in the matter. To sign the petition demanding that the President of the Republic of the Philippines Rodrigo Duterte stop his plans to bury former dictator Ferdinand Marcos as a hero please click here.